What’s more wonderful than a winter wedding? With all your loved ones already piggybacking off the holly jolly spirit of Christmastime, it’s the best time of year to get married to your hubby! You’ve got snowflakes, pinecones, peppermint mochas, and everything glittery. I have had the honor of photographing some pretty amazing couples with Fox Weddings during the winter, and because of their amazing receptions and attention to detail, I’ve picked up a few tricks and tips along the way! These are 5 tips I have picked up from different brides to make the most of your winter wedding. Be sure to comment your own tips for rocking a winter wedding below in the comments. You already got all the Christmas lights from the attic, not to mention the ones you bought on impulse in October because you were THAT ready for the merriness— so why not put them to good use! 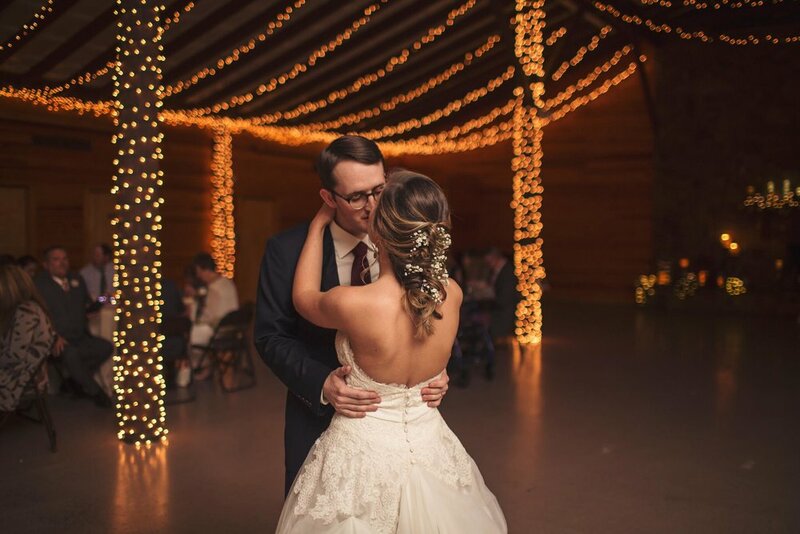 They’re not just reserved for trees— Christmas lights are one of the easiest (and cost-effective) ways to light up your ceremony or reception. They’re cozy and warm and every photographer loves a good bokeh shot. Next time you’re shopping during an after Christmas sale, consider picking up a few extra strands to light up your special day! Winter can be a challenging time to get flowers— especially if you’re wanting to stay on budget. But Evergreen branches are a perfect solution for sprucing up (I couldn’t resist) any centerpiece, backdrop, or bouquet! You can get fresh evergreen branches for next to nothing at a local tree farm or use it as a perfect excuse to backwoods it and pick out some yourself. Evergreens add a touch of life that you wouldn’t expect— not to mention, these branches will make the ceremony smell AMAZING! My only advice: watch out for sap. Red isn’t just reserved for Christmas! Red ribbon, red roses, red kicks, and best of all: red lips! Red is a classic go-to for any romantic occasion, but there’s something extra stunning about it when you rock the red for your winter wedding day! Consider using red as an accent color using holly berries or roses. 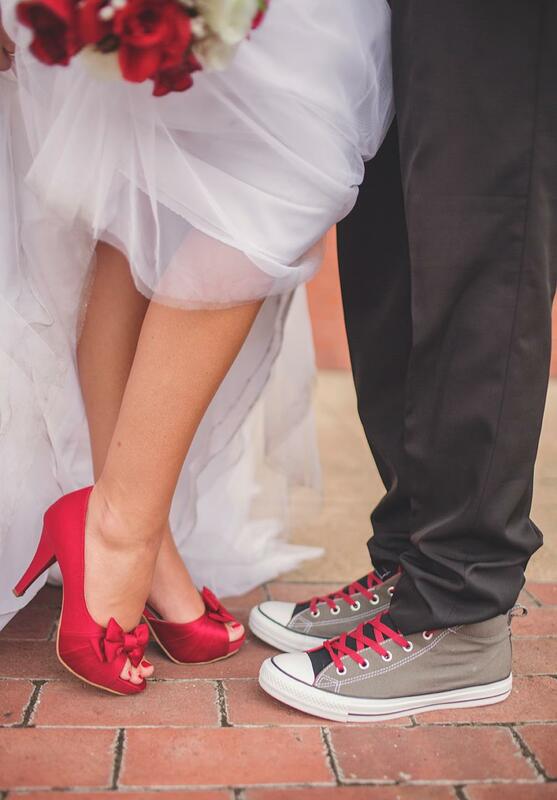 OR commit to the color with a theme of red for all the bridesmaid dresses and groomsmen ties. Fur is in and we are loving it! In the past brides have always worried about winter weddings because Brrrr! 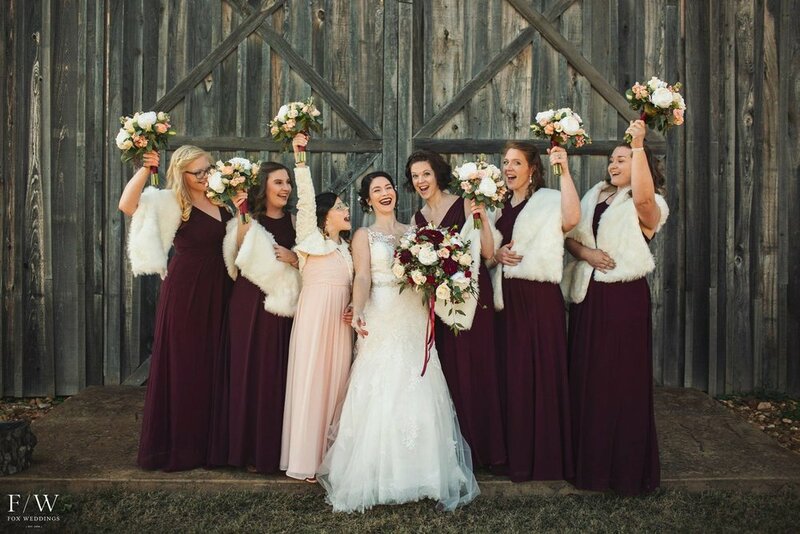 But ever since this fabulous faux fur look has been brought back to light, it has changed up the winter wedding game forever! Whether the fur is reserved for the bride alone or shared by all her maids, this look is to die for! No more bulky coats or awkward shawls on your big day, now you can pay tribute to this classic look in the very best way! Weddings are all about coming together to pledge forever to your favorite person. Friends and family come from all over to witness this joyous event and celebrate by dancing it out to the DJ’s best hits. So what better way to warm up together at a winter wedding than by sippin’ on some cocoa! Cocoa bars are perfect for winter weddings because it opens up the party to the outdoors without the worry of frostbite— plus, who does like warm chocolatey goodness? I hope these tips help you make the most of your winter wedding! Our Fox Weddings crew has worked with over 150 Brides on their wedding days. If you want to learn more about Fox Weddings, visit our website by clicking HERE!